How to Wear False Eyelashes and my Faves! Apply the glue to the back of your hand, pick some up with the blunt top end of your tweezers and run it along the lash band until it’s all covered in a thin line of glue. Wait a few seconds for the glue to become tacky. Wipe off any glue that’s on the top of your tweezers. Tuck in both ends and adjust until they are neatly on. Use the blunt end of your tweezers to press the lashes into place. Don’t worry about the white glue showing at this stage, that will dry clear. When the glue is dry, go over the band with black eyeliner to conceal it even more. Ta da! Flutter your lovely long lashes at everyone who looks at you! The i-Envy ones are only €3 in Penneys! The Ardell ones I got in Salon Services but you can also get these in Boots they just come in different packaging, my faves are the Wispies & Demi Wispies and they around €7. The Double Up ones are exactly that, 2 pairs of lashes together for a super dramatic look! The MAC lashes above are the No 4’s , I also like the No 7’s and the corner lashes – No 20 are my absolute favourite for a natural look and are very easy to apply if you’re only starting to apply lashes yourself as you only apply them to your outer corners. They are all €12. The Salon System Natralashes are lovely and I would wear these ones for nights out or the Eyelure Naturalites in 107 are the same and you can get these in Boots. The individual ones can be tricky to apply to yourself but it just takes patience and a steady hand. I mostly use these for my bridal clients as they are so natural looking and give such a beautiful wide eyed effect. You can get similar to these in Boots for around €7-8 also. 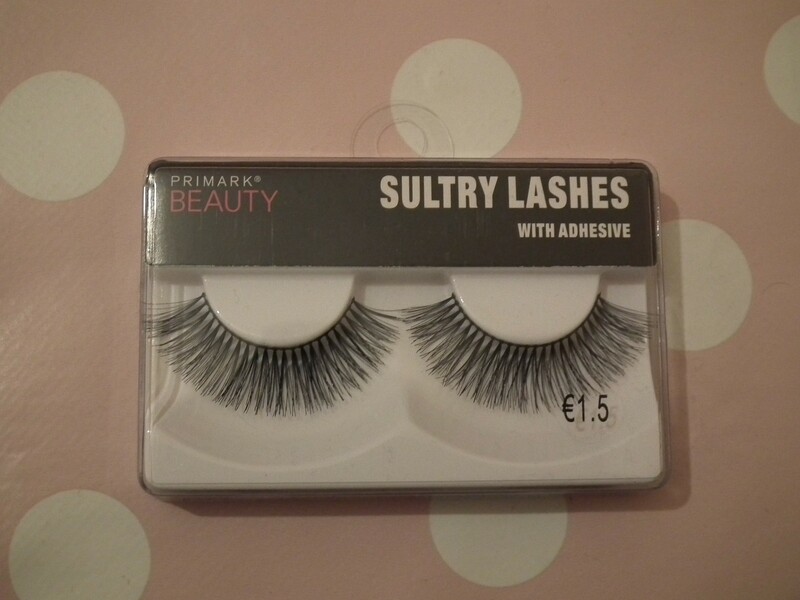 If you’re on a budget or wear lashes every day, I’d highly recommend these lashes below from Penneys. And the best bit? They are only €1.50!!! You can’t go wrong for that price, although the glue that comes with them is rubbish, but I always throw away the glue that comes with any box of lashes and use my Duo glue anyway. You can buy the Duo glue in MAC or Inglot for around €10 and it lasts for ages. I also have to mention these ones from Girls Aloud which are really fab! 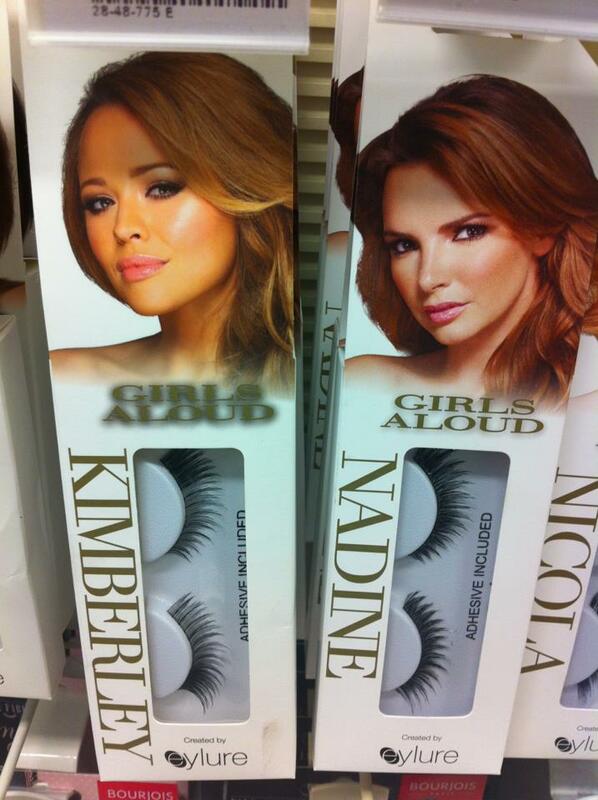 My faves are Kimberley and Nadine ones below. MAC have a new Palette which is clear so if you are a lover of MAC’s eyeshadows and collect quite a few of them I would recommend you check this out. I popped my two new Green colours in to show you how they sit (more about them as well as a Green eyemakeup tutorial in another post! 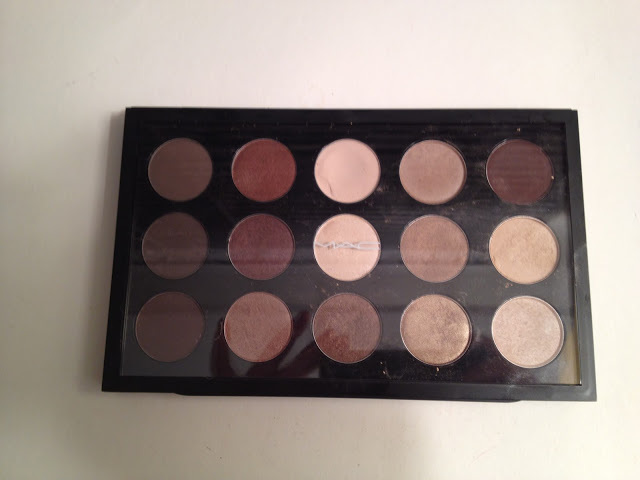 ), you can put 24 eyeshadows in like this or if you use the insert that comes separately you can fit 15 shadows as below. If you use it without the insert you can put a few blushers in along with your eyeshadows also, as MAC do blusher pans too, this is so handy for when you are travelling and only want to bring certain colours with you and have everything to hand in the one palette. 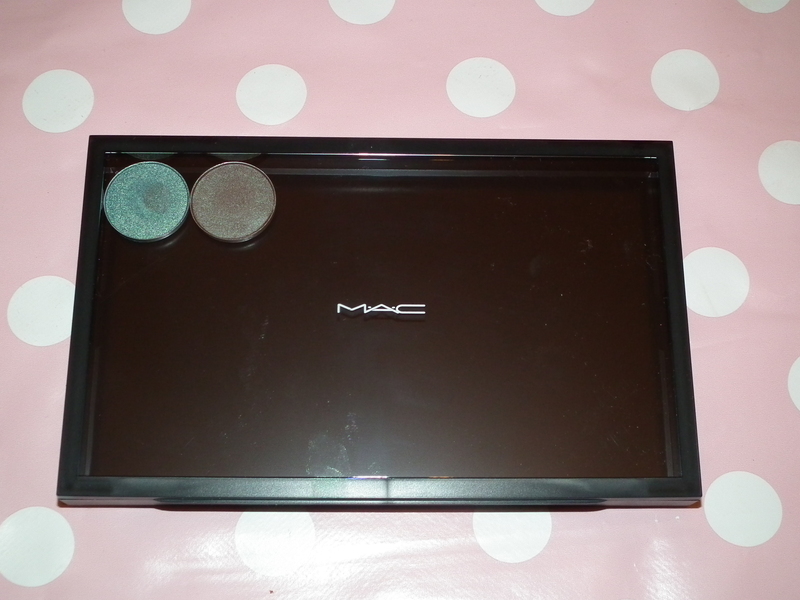 The good thing about these is that you can also put other eyeshadows in with the MAC ones such as the Inglot eyeshadow pans which are also magnetic so you can have eyeshadows from different brands in the one palette which is only great! These palettes cost €18 from MAC and if you want to buy the insert that’s another €8 so €26 for both. There are other similar palettes you can use also. 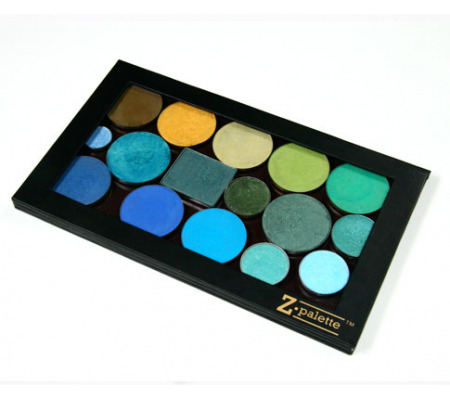 The Z Palette is another good one that you can use for any eyeshadow and blusher pans, once you prise your eyeshadow/blusher pans from their original casing you can stick on the little magnatised stickers that come with the Z Palette to the back and they instantly stay in the palette! 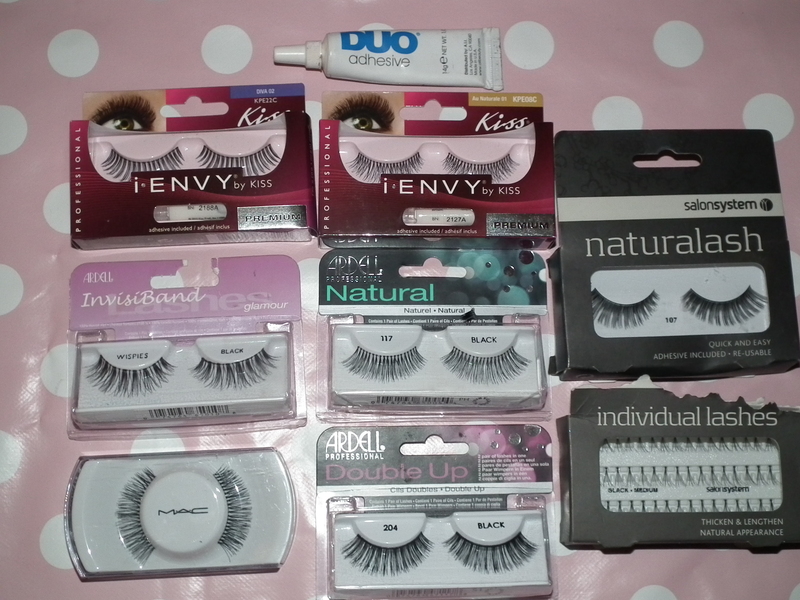 You can buy these online from www.love-makeup.co.uk and they are approximately €20/€22 with P&P as it’s a UK site. Do you have a big eyeshadow collection and will you be getting these? MAC has a new makeup collection out for Spring 2013 and as part of the collection, they have brought out some pressed pigments which have all the intensity of a pigment with glitter, but are compressed into a powder compact which makes them easier to apply yay! They come in 12 different shades as above from light colours to dark intense colours and can be used on their own or over similar coloured eyeshadows for a pop of glitter (you must know by now, how much I love a bit of glitz!). Pop these on the centre of your eyeshadow to give a pop of shimmer or apply wet to really intensify the colour. They say that these can be applied as a highlighter to the cheekbone also but the glitter is so chunky that I really can’t see this being practical unless you want to look like a discoball! I got 2 lovely shades above, “Deeply Dashing” (left) which is brown with silver glitter flecks and “Smoky” (right) which is a beautiful blue again with silver glitter flecks. Both would be gorgeous over similar colour eyeshadows and I can’t wait to try them on myself or on my next photoshoot. I also loved the dark “Jet Couture” shade but I have something similar from Chanel so didn’t pick it up this time but it would be beautiful over a dark smoky eye.